Stuntman and actor Roydon Elwood Clark was born on April 15, 1928 in Dalton, Pennsylvania. One in a family of eight children (said family was made up of crop tenders and migrant farm work ers), He started in 1942 spending his summers around the Hudkins stables, which provided livestock and wagons for Western films. Roydon was taken in by the Hudkins family after his family separated and worked for twenty-five dollars per week pitching hay, taking care of the horses, and doing general chores around a stable. He began his career as an actor and stuntman in Westerns for director Joseph Kane at Republic Pictures. Among the notable actors that Clark doubled for are Errol Flynn, James Garner, Sean Connery, and Joe Don Baker, just to name a few. Moreover, Roydon did volunteer work for four years as a stunt safety investigator for the Directors Guild of America as well as worked as both an action coordinator and second unit director on the hit TV series The Rockford Files (1974). Other movies & tv shows he has worked on are as follows: TheYounger Brothers (1949), Bugles in the Afternoon (1952), Duel at Apache Wells (1957), Cheyanne (1955), Sugarfoot (1957), Bandolero (1968), and Walking Tall (1973). 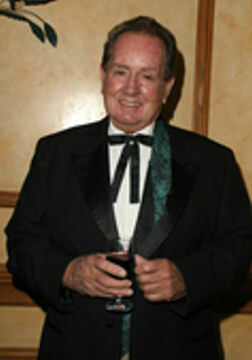 Roydon received his Silver Spur award in 2005.